The Snow Foam Lance is designed with a solid brass body for long life and endurance. The dilution rate of water to Snow Foam detergent is completely under your control with the adjustable valve to ensure you can snow foam how you'd like to. The foaming pattern can also be adjusted with minimal effort with the Snow Foam Lance's variable spray nozzle allow you to choose from a wide spray to a more concentrated jet sprayer. 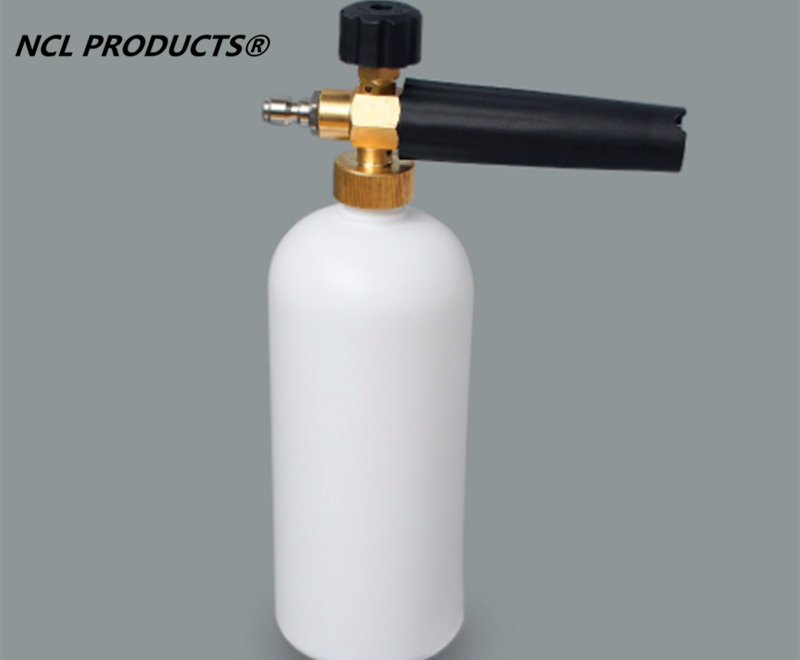 3.Material: solid brass and metal body, stainless steel nozzle, nylon cover, and HDPE bottle. 5.Adjustable consumption of snow foam cleaner, Variable angle spraying pattern from pencil to 60° fan, resistant to chemicals. 1. The foam sprayer is suitable to clean various types of motor vehicles, engineering vehicles, engineering machinery and agricultural machinery products. It is the most ideal tool for cleaning family car and small vehicle. 2. The foam sprayer is also worktable for the exterior wall of building, ground, bath pool and swimming pool cleaning, especially for windows, toilet and other corners which are difficult to clean by manual work. 12 pcs (foam lance) in one carton.